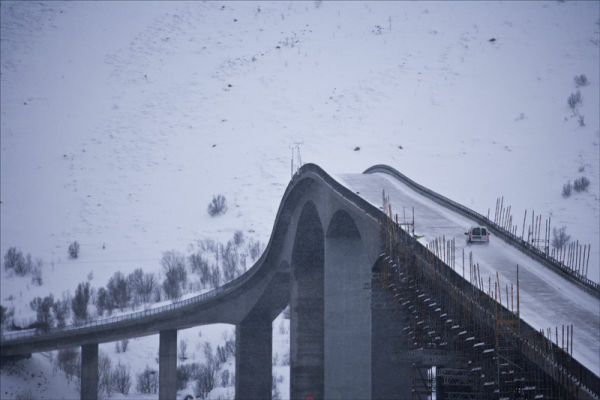 This is a the typical road bridge in the Lofoten. Super arched to accomadate ships I presume. They are impressive and a roller coaster to drive ! !